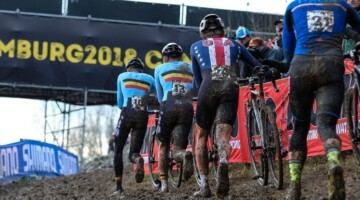 What started a few months ago with the season’s first UCI races and the World Cup opener in Las Vegas is coming to an end with the 2016 UCI Cyclocross World Championships in Heusden-Zolder, Belgium this weekend. Yesterday we looked at Saturday’s World Championship races, the Junior Men, U23 Women and the Elite Women’s events. We’re hopeful that yesterday’s preview and today’s look at Sunday’s title events will give you a look at what’s possible at this year’s Worlds. You can also preview the course thanks to Helen Wyman and Stages Cycling, here. 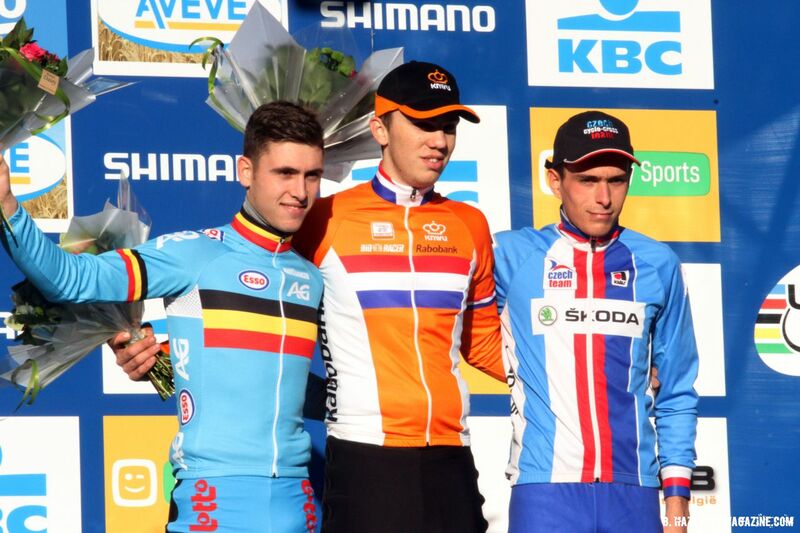 To take a look at Worlds, we can look back at the World Cup Zolder from last month. Yes, when the rainbow jersey is on the line, and with likely rain for this weekend, it’s not the same. 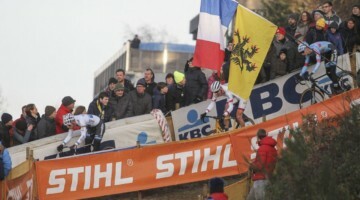 However, the fifth round of the World Cup in Zolder lets us have an idea of what we might see Sunday. There are are just two races on Sunday of World Championship weekend—the U23 Men’s race at 9:50 am GMT and the Elite Men’s race at 1:50 pm GMT. 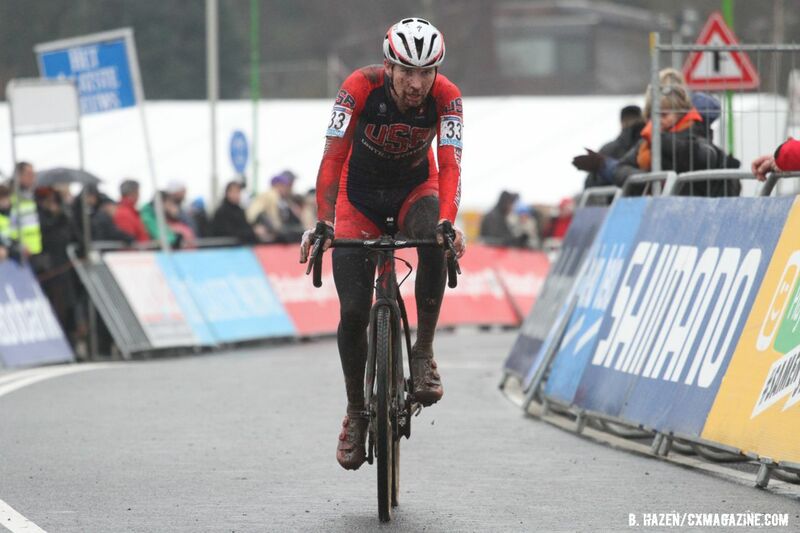 For the Young Americans, Logan Owen who chose to forego the US U23 National Championship race in favor of taking on the Elite men’s contest will line up in the U23 World Championships. Having raced a somewhat abbreviated season he is still in the top 20 of UCI rankings for the U23 men. Owen is perhaps Team USA’s best chance at a medal in the U23 race. Owen has ridden in to the top 10 on a couple of occasions this season, including last week in Hoogerheide, the Superprestige Diegem and the World Cup Koksijde. He’ll will be joined by Andrew Dillman, the D1 Collegiate Men’s National Champion and the U23 National Champion Tobin Ortenblad. Both riders have shown flashes of brilliance in Europe this year. 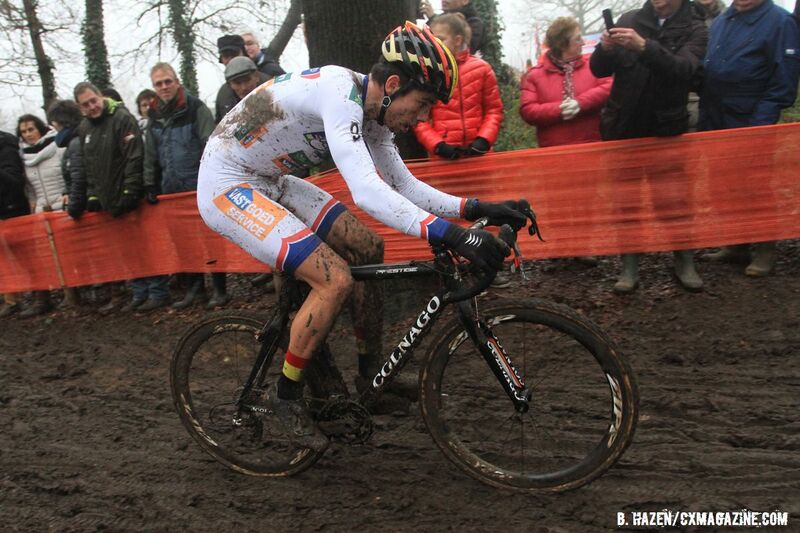 Dillman raced into the top 20 last week in Hoogerheide, and Ortenblad went top 10 earlier this season at Azencross. Ortenblad was also the first American (of only two) to beat Powers this season, besting the Elite National Champion at Nacht van Woerden. 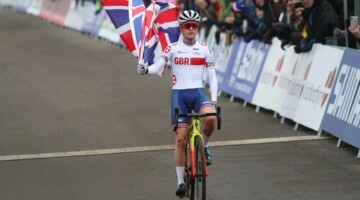 They’ll all be taking on Dutchman Joris Nieuwenhuis, who won in Zolder last month, who is the top-placed rider from last year’s U23 World Championships who hasn’t moved to the Elite field, and is ranked third in UCI points. 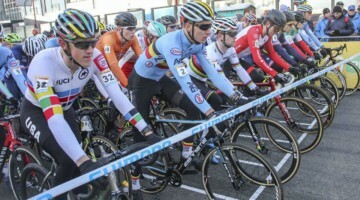 There’s also the UCI’s second ranked Quinten Hermans of Belgium who won last week’s World Cup finale in Hoogerheide and his countrymen Daan Hoeyberghs and the UCI’s top U23 ranked rider and World Cup title holder Eli Iserbyt, who won the World Cup race in Namur and Lignières-en-Berry as well as a number of Superprestige and BPost Bank Troffee series races. Any one of these riders could take the gold medal. The U23 Men’s race should be a fast fight to the finish. Like in our preview of the Elite Women’s race, there’s one name to watch: Mathieu van der Poel. Since returning from an early season knee injury and surgery to repair that injury, the reigning World Champion has been on a tear. Of the last four World Cups races he’s entered, he’s won them all. He won the World Cup race at Zolder last month and most recently won going away with an ever-growing lead last week in Hoogerheide. 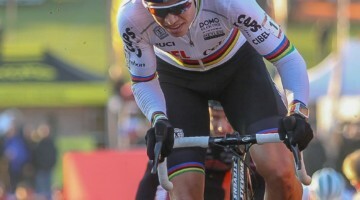 Wout van Aert has been a step behind van der Poel’s pace since the World Champion’s return to racing. 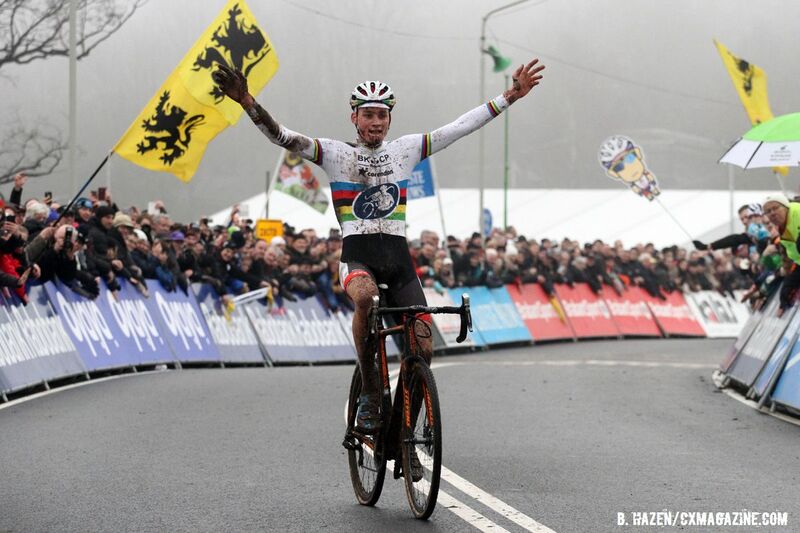 Van Aert, the World Cup title holder, has to this point not been on the World Champion’s level. 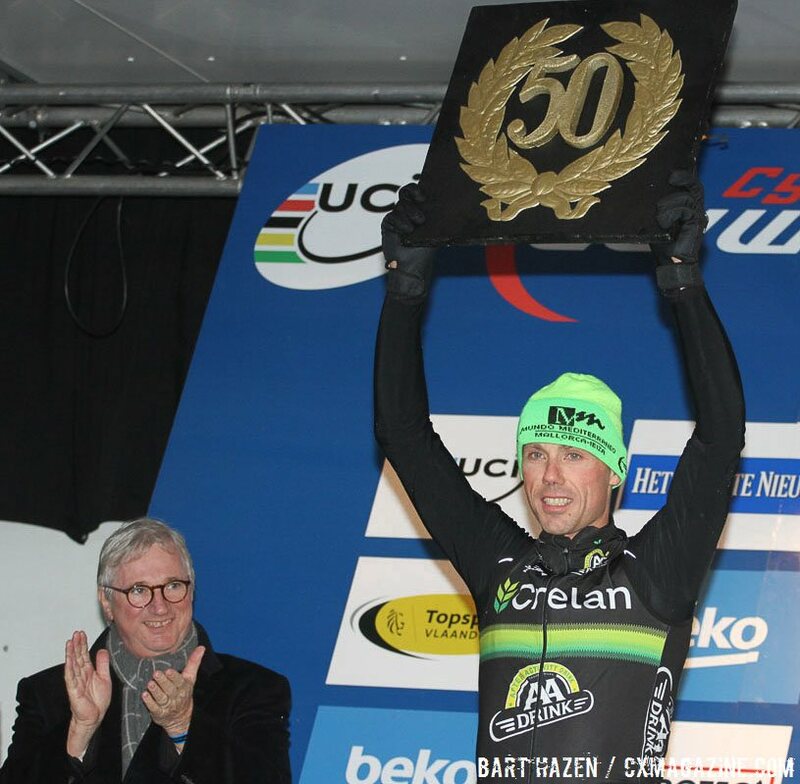 The 2016 World Championship is also the curtain call for Sven Nys. Winner of 50 World Cup races and a two-time Elite Men’s World Champion, Nys is retiring at the end of this season. 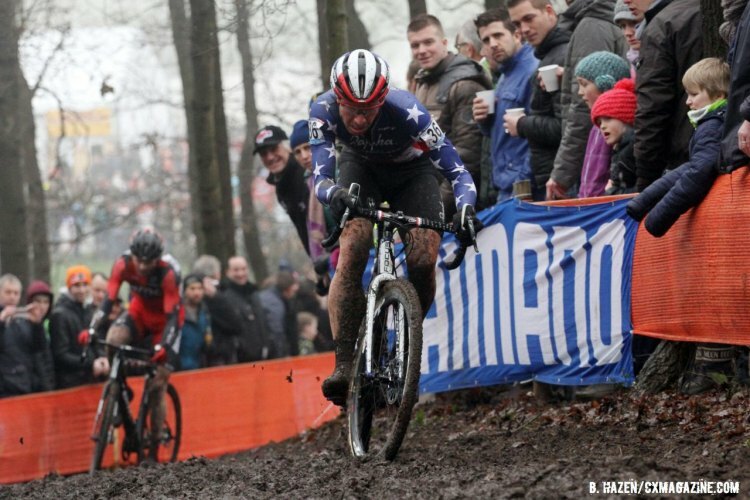 For the Americans, the best medal hopes rest with National Champion Jeremy Powers and his training partner Stephen Hyde, while a good number of American fans will be cheering for the colorful Anthony Clark. They, like the rest of their teammates and everyone else lining up in the Elite Men’s race will have their hands full with van der Poel. Nys and his Belgium Block might do it……It worked out before(2000)…….Groienebdaal and Van Der Poel(father) might get a taste if their own chocolate!